We’d love your help. Let us know what’s wrong with this preview of The Midwife by Jolina Petersheim. Since the day Rhoda Mummau was baptized into the Old Order Mennonite Church and became the head midwife of Hopen Haus, she's been torn between the needs of the unwed mothers under her care and her desire to conceal the secrets of her past. Contact with the outside world could provide medical advantages, but remaining secluded in the community gives her the anonymity she cr Since the day Rhoda Mummau was baptized into the Old Order Mennonite Church and became the head midwife of Hopen Haus, she's been torn between the needs of the unwed mothers under her care and her desire to conceal the secrets of her past. Contact with the outside world could provide medical advantages, but remaining secluded in the community gives her the anonymity she craves. To ask other readers questions about The Midwife, please sign up. As the dust from the dirt road settles, and you pull into the drive, you see it: Hopen Haus. A woman in plain clothing and a kapp steps out onto the porch. You walk up the steps and instead of judgment, you receive love; instead of ridicule, you find acceptance. The midwife’s strong, quiet voice says, “Come, my girl,” and your weary heart knows that you've come to a place of refuge, where hope is restored. Beth Winslow has agreed to be a surrogate for her professor & his wife; she has given b As the dust from the dirt road settles, and you pull into the drive, you see it: Hopen Haus. A woman in plain clothing and a kapp steps out onto the porch. You walk up the steps and instead of judgment, you receive love; instead of ridicule, you find acceptance. The midwife’s strong, quiet voice says, “Come, my girl,” and your weary heart knows that you've come to a place of refuge, where hope is restored. Beth Winslow has agreed to be a surrogate for her professor & his wife; she has given birth before, a son, who she gave up for adoption, and she needs funds to complete graduate school, so this seems to be the perfect option. What Beth doesn’t expect is to fall head over heels in love with the child in her womb, a daughter the biological parents decide they don’t want after early tests indicate abnormalities. She chooses to flee to Hopen Haus, and that choice colors the rest of her life with events she could never imagine. The Midwife is a beautiful, heartbreaking story about motherhood, forgiveness and healing. Although at first I found the story to move more slowly, I came to appreciate the way in which it was told. Alternating between the past with Beth and present with Rhoda and Amelia, the scenes build the story, reaching a culmination that is tinged with both the bitter and the sweet that reconciliation can bring. I love entering a story after the choice has been made – the chips have fallen and maybe it’s not the way the character wanted things to turn out; it’s messy and discordant. Knowing the “what” of the story isn’t as important or compelling as knowing the why and how. In The Midwife, although the reader has some foreknowledge that the characters don’t have, how the characters choose to react to the path that their life has taken is beautiful and compelling. The first-person narration is top-notch, and I hope that the author continues to use this style – I felt like I knew these characters as real people. I wanted to know them! Even the secondary characters a layered and come with descriptions that brought them to life. The scenes flow seamlessly one to the next, and although the subject matter is realistic and life-like, I read quickly because I couldn’t do otherwise – I was that engrossed in the story. This is a story about being grateful for the time you have and instead of mourning lost time, rejoicing in what you have now. It’s about new life and re-birth and when you finally let go of bitterness, grasping the blessings that can still come from life’s messes, no matter how much time has passed, no matter how far out of reach that healing might seem. The ending was perfect – no, everything didn’t end perfectly, but it fit the story, bringing things to an end, yet also to a new beginning. I can’t recommend Jolina Petersheim’s novels enough. The Midwife is another keeper on my shelf and one I will most likely read again, perhaps when I’m a mother myself and can even further appreciate it. If you want a story of the broken and flawed, yet healed and redeemed, you will find it in these pages. Highly recommended! This is a beautifully, intricately woven story. I had seen really high reviews, but wasn't that impressed with the beginning (hence the 4.5), but once I got into Part Two, I has HOOKED. I couldn't put it down! The story became so much deeper than it seemed on the surface, at the beginning. Minor characters became MAJOR in my heart, and with Lydie, at the end...nearly BAWLED MY EYES OUT. The epilogue was just the sweetest, and left me with tears in my eyes as well. If you like a story t 4.5 stars. Susan I’ve enjoyed all her books so far. I've had this book sitting on my bookshelf for over a year and I wish I would have picked it up sooner. While I suppose it could be grouped into the "bonnet fiction" category, the plain way of life did not limit the characters and indeed enhanced the story. I've volunteered at a crisis pregnancy center on and off for a number of years. The girls at Hope House reminded me of so many young mothers that I've encountered during that time. I like how Jolina emphasized how God is always present even in I've had this book sitting on my bookshelf for over a year and I wish I would have picked it up sooner. While I suppose it could be grouped into the "bonnet fiction" category, the plain way of life did not limit the characters and indeed enhanced the story. I've volunteered at a crisis pregnancy center on and off for a number of years. The girls at Hope House reminded me of so many young mothers that I've encountered during that time. I like how Jolina emphasized how God is always present even in the midst of our trials. He knows our deepest longings and stands ready to fill the holes our poor choices carve from our hearts. I found the fractured timeline easy to follow and compelling. While the story was fast-paced the development of each character's depth came over time, so it could be savored and pondered. With deft storytelling the author wove Beth and Amelia into my heart and their grief brought me to tears. Beth Winslow is a graduate student who agrees to become a surrogate for her professor and his wife, but when early test indicate that the baby could be born with abnormalities, Beth is unprepared for the parents decision to terminate the pregnancy. Desperate to protect the unborn child, she flees and takes refuge at Hopen Haus, a home for unwed mothers in a Mennonite community. Rhoda Mummau is the head midwife at Hopen Haus; she gives everything to the girls there but her heart, afraid of exposin Beth Winslow is a graduate student who agrees to become a surrogate for her professor and his wife, but when early test indicate that the baby could be born with abnormalities, Beth is unprepared for the parents decision to terminate the pregnancy. Desperate to protect the unborn child, she flees and takes refuge at Hopen Haus, a home for unwed mothers in a Mennonite community. Rhoda Mummau is the head midwife at Hopen Haus; she gives everything to the girls there but her heart, afraid of exposing the carefully concealed secret she has carried with her for years. When a young woman named Amelia shows up in need of help, Rhoda is forced to face her past, but will her heart finally heal? I, unfortunately, didn't pay nearly enough attention to certain characters or even the prologue until the end when my eyes opened and I could see how things fell together to bring about the whole picture. The reader gets pieces from the characters' stories from 1995 to 2014, going back and forth in time with each snippet, mostly in the voice of Beth, aka Rhoda. In 1995, because Beth needed money for her PhD expenses, she agreed to be a surrogate. But when there appears to be an abnormality in the fetus, a life altering decision was made, one Beth could not abide. This was when she ran to a Mennonite community to have the baby at a home for unwed mothers. Little did she know this home would play a huge part in her life. Seldom do I do this, but I'm going to re-read it right now. There is so much I missed the first time that I want to go back, now that I know who fits where, so I can thoroughly re-enjoy this incredible book. 1) The book was written about 2013, but in the version I just read, a 2019 epilogue was added. Ah, I loved, loved, loved it!!! Masterful storyteller, Jolina Petersheim, has penned a riveting, emotive tale that vacillates between three women from different walks of life, but all having two things in common --- deep buried secrets and a desperate need for love. Beth Winslow, a graduate student agrees to become a surrogate for her professor and his wife. Upon realizing that the child she is carrying may be abnormal and the parents want her to abort it, Beth flees the city and seeks refuge at Hopen Haus, a Me A Riveting Read! Beth Winslow, a graduate student agrees to become a surrogate for her professor and his wife. Upon realizing that the child she is carrying may be abnormal and the parents want her to abort it, Beth flees the city and seeks refuge at Hopen Haus, a Mennonite home for unwed mothers. Rhoda, the head midwife at Hopen Haus gives everything to the girls who are incumbent upon her care...except her heart. Past hurts and secrets cause her to carefully guard her broken heart at all costs, especially when Looper, a lost love comes unexpectedly to her aid at Hopen Haus. When a young woman named Amelia arrives bearing secrets of her own, will Rhoda finally come to terms with her past and find healing for a barren midwife's soul? The Midwife isn't your typical, light Mennonite/Amish book, and was born through a time of intense loss, heartbreak, and subsequent healing for the author, Jolina Petersheim. It is a heartrending story, but one of hope, healing, and redemption. A mesmerizing, unpredictable novel, filled with twists and turns, and an element of suspense -- you'll find yourself madly flipping those pages to see if happiness continues to elude Rhoda, the midwife. Jolina Petersheim is a fresh, unique voice in Christian fiction, who knows how to weave a compelling story that evokes powerful emotions in her readers from page one until the satisfying conclusion. “Why do you love me after I’ve been so cruel?” I asked. The old midwife looked up and smiled sadly, cupping my cheek. “Because, Liebe, that’s what a mother does.” It's story of motherhood and unconditional love and the lack thereof. This is an emotional roller coaster of a story which contains so many layers. It's just an amazing book!!! The Midwife began as a story I had to simply throw myself into. The first several chapters are deliberately ambiguous, and I had to let go of my need to understand everything and simply trust that the author would make sense of all the little pieces in time. Which of course, she does. In her Author’s Notes, Jolina writes: “I never thought I would write about my Mennonite heritage because I was just too close to view it objectively. It wasn’t until someone told me a true story about an affair that The Midwife began as a story I had to simply throw myself into. The first several chapters are deliberately ambiguous, and I had to let go of my need to understand everything and simply trust that the author would make sense of all the little pieces in time. Which of course, she does. It’s this “different spin” that I find so intriguing about Jolina’s stories. As I’ve said before, I’m not drawn to so-called Amish fiction or “bonnet fiction,” despite its continuing massive popularity with many Christian readers. I am, however, drawn to masterful explorations of the fallibility of humankind, and the ways different cultures and sub-societies cope with relational tensions–especially when these are paired with redemptive, hopeful endings. This is what Jolina accomplishes so beautifully. The depth of her understanding of human nature astonishes me, and her gift of storytelling is unparalleled. She wraps her stories in layers of prose that borders on the poetic. And despite what the cover may imply, this story contains plenty of grit and enough real-life angst that the fact that some of the characters are “Plain” is completely irrelevant. Though there was one thread that left me feeling slightly dissatisfied–I desired a weightier meting of justice upon one unsavory character–it was not an unrealistic ending, and the remaining conclusion was singularly sweet and filled with hope. The Midwife is one riveting read, a real page-turner, and you really never see what is coming. This is one where I can usually figure out the ending in my mind, not this one. As we travel down on journey of life, it is probably a very good thing that we cannot see what is around the next corner. We travel with Beth, really beginning with her consensual decision to be a surrogate, having already experienced the pain of giving up a child to adoption. How she thought that it would be easier the seco The Midwife is one riveting read, a real page-turner, and you really never see what is coming. This is one where I can usually figure out the ending in my mind, not this one. As we travel down on journey of life, it is probably a very good thing that we cannot see what is around the next corner. We travel with Beth, really beginning with her consensual decision to be a surrogate, having already experienced the pain of giving up a child to adoption. How she thought that it would be easier the second time is beyond me, although genetically the child wasn’t related to her. Funny how God places people in our path that and that appears to be just what happens in Rhoda/Beth’s case. Of course there is evil present, and it is hard to believe the form it takes, and yet even this has some good in it. Although we are in a Mennonite Community, you basically will see no difference here than in an Amish Community, this one is really Old Order. No electricity, or cars, and we are mainly in a home for unwed mothers, from all backgrounds. For some this must be a really rude awakening! As we travel in Beth’s shoes, I wholly agreed with her decisions, and loved how she becomes the person she does, and how all things work out. A really great read. I received this book from Tyndale House Publishers through Net Galley, and was not required to give a positive review. This is not a sweet little Amish romance; in fact, romance has little to do with it. It is, however, an emotionally-engaging, intricately plotted story of the real nitty-gritty of life, birth, and motherhood. The novel follows three alternating storylines: a young grad student who opts to be a surrogate for a childless couple, a young girl who becomes pregnant while trying to find the acceptance and belonging she craves in boyfriends, and the head midwife at a home for unwed mothers who protects This is not a sweet little Amish romance; in fact, romance has little to do with it. It is, however, an emotionally-engaging, intricately plotted story of the real nitty-gritty of life, birth, and motherhood. The novel follows three alternating storylines: a young grad student who opts to be a surrogate for a childless couple, a young girl who becomes pregnant while trying to find the acceptance and belonging she craves in boyfriends, and the head midwife at a home for unwed mothers who protects herself from hurt by preventing herself from feeling. The plot is full of loneliness, poor choices, loss and pain, emotional isolation, and crippling guilt. Each character has built a wall around her heart to keep out any meaningful relationships, including one with God. In the magic of the literary world of fiction, these three characters intertwine and connect in surprising ways. When the climax of the story brings resolution to all the puzzling questions about their lives, the grace of God brings beauty from ashes and abundant love and fulfillment in place of cold emptiness. Rhoda, like a prodigal daughter, finds the real source for comfort and belonging and peace in trusting the God that had her life and the life of the other characters in His capable hands all along. Very poignant story. Heartbreaking and heart warming are the two words that would best describe this novel. Jolina's puts together the powerful story of Beth, who becomes Rhoda after being baptized into the Mennonite community. Throughout the book my heart clenched for Rhoda to find relief and closure to her painful past. I enjoyed getting to know all the characters who made up this story. When Ameila arrives, she shakes things up a bit at the Hopen Haus- a girl who has many choices comes to the one place where many Heartbreaking and heart warming are the two words that would best describe this novel. Jolina's puts together the powerful story of Beth, who becomes Rhoda after being baptized into the Mennonite community. Throughout the book my heart clenched for Rhoda to find relief and closure to her painful past. I enjoyed getting to know all the characters who made up this story. When Ameila arrives, she shakes things up a bit at the Hopen Haus- a girl who has many choices comes to the one place where many women think Hopen Haus is their last. As the story unfolds we see how Rhoda's past and Amelia are linked. Though very unrealistic, it did make the story interesting and unforgettable. The Midwife is a truly amazing book written by a extremely talented author. After reading the first book by Jolina I couldn't wait to get my hands on this book. I wasn't disappointed at all. I only have good things to say about this book. I don't think I could find anything negative to say about The Midwife even if I wanted to (which I don't!). If your looking for a great read then look no further! When you read this book, be prepared for an unusual chronology. The prologue is a glimpse into the future, mysterious and puzzling. It does not prepare you for what's to come, but rather sets the tone for the book. In the opening chapters we are introduced to Beth Winslow, a graduate student assigned to Dr. Thomas Fitzpatrick. To assist in the completion of her Master's degree, she has agreed to become the gestational surrogate for the doctor and his wife, Meredith. It's 1995 and soon Beth will When you read this book, be prepared for an unusual chronology. The prologue is a glimpse into the future, mysterious and puzzling. It does not prepare you for what's to come, but rather sets the tone for the book. In the opening chapters we are introduced to Beth Winslow, a graduate student assigned to Dr. Thomas Fitzpatrick. To assist in the completion of her Master's degree, she has agreed to become the gestational surrogate for the doctor and his wife, Meredith. It's 1995 and soon Beth will be faced with a life changing dilemma. At first, I found the shifting chronology to be annoying and confusing. It appeared aimless to me until some of the puzzle pieces fell into place. What kept me motivated to read was the desire to make sense of the opening story. Looking back, I can better appreciate the chronology presented since it was the timing of revealed factors that added to the suspense and urgency. I'm still not a fan of this approach, but in this story it serves to increase expectations. I just couldn't put the book down. What genre is this book written in? I can tell you better what it is not than what it is. For example, it is not a typical romance although there is a satisfying conclusion and the presence of some romance. It is not a boy meets girl kind of story. Many of the characters are not who they claim to be. Yet this is a story that does not easily fit into the mystery, suspense, or thriller genres. There is some mystery, some suspense, but those are not the driving force. It has more character development than action, so it is not a thriller or an action and adventure book. This is not even a "bonnets" story, even though the midwife, Rhoda, is Mennonite, wears a cape dress, apron, and a prayer kapp. Being Mennonite is pretty much incidental because the central issues revolve around identity, acceptance, pain, loss, hiding, finding love, and resolution. In essence, it is a contemporary tale that deals with some hard-hitting issues at the core. The thought provoking problems seem to have come out of the author's "what if" file, assuming she has one. I don't think you can pin a particular genre to this book. As I read, the thing uppermost in my mind was a big question mark. The segment I found most heartwarming was the friendship Rhoda found in Fanny Graber, the head midwife of Hopen Haus when Rhoda first arrived there pregnant and frightened. A special friendship developed between the elderly Mennonite and the young girl. Rhoda met the Lord because of Fanny. It was the first time she felt completely accepted, wanted and loved. Eventually, Fanny taught her to be a midwife. It was a task Rhoda adopted as her own mission--to care for the girls who came for assistance--even after Fanny had passed on. There are parts of the book that will grip you and emotionally wring you dry. Most of the accounts are told in the first person, so that the point of view becomes personal to the reader. Toward the end, the resolution includes some twists in the plot that, in spite of a few clues, will still surprise the reader. That said, I still found more satisfaction from the second reading of the book. Once I had more of the pieces in place in my mind, it was easier for me to follow. "The story about a mother who risks everything to save a child not genetically hers . . . The Past -- Graduate student Beth Winslow was sure she was ready to navigate the challenges of becoming a surrogate. But when early tests indicate possible abnormalities with the baby, Beth is unprepared for the parents' decision to end the pregnancy -- and for the fierce love she feels for this unborn child. Desperate, she flees the city and seeks refuge at Hopen Haus, a home for unwed mothers deep in a Tennessee Mennonite community. The Present -- As head midwife of Hopen Haus, Rhoda Mummau delivers babies with a confident though stoic ease. Except in rare moments, not even those who work alongside her would guess that each newborn cry, each starry-eyed glance from mother to child, nearly renders a fault through Rhoda's heart, reminding her of a past she has carefully concealed. Past and present collide when a young woman named Amelia arrives in the sweeping countryside bearing secrets of her own. As Amelia's due date draws near, Rhoda must face her regrets and those she left behind in order for the healing power of love and forgiveness to set them all free." Now doesn't that sound amazing?! Well, it was. I wasn't sure what to expect when I read this book, but I was completely blown away. I figured out many of the "secrets" and "twists" early in the book (I think the reader was meant to), but then several that came at the end were completely unexpected and I didn't see coming at all. I received this book in the mail on Wednesday afternoon and had finished it by mid day Thursday. It was just that compelling. I literally had trouble putting it down. The characters were fully drawn and rich, the setting was beautifully described, and the plot was intricately laid out and intertwined the past and present perfectly. Jolina Petersheim is the bestselling author of The Outcast, which Library Journal called "outstanding . . . fresh and inspirational" in a starred review and named one of the best books of 2013. She holds degrees in English and communication arts from the University of the Cumberlands, and her writing has been featured in venues as varied as radio programs, nonfiction books, and numerous online and print publications. Her blog is syndicated with The Tennessean's "On Nashville" blog roll, and she also blogs weekly with four other bestselling novelists at Southern Belle View. Jolina and her husband share the same unique Amish and Mennonite heritage that originated in Lancaster County, Pennsylvania, but now live in the mountains of Tennessee with their young daughter. Follow Jolina and her blog at jolinapetersheim.com. As a woman, we all have an instinct in us to mother a child. That doesn't mean we want to or that if we do that it will be easy. It just means he put that undeniable, unquenching, unconditional love somewhere deep inside us. As the mother of four children, I could never imagine my life without my "babies", they are what make me, well me. They are the reason for my place on this earth and hopefully with me trying to put myself and more into them they will add to this world instead of take away from it. The Midwife, takes the lives of three different women and mixes&melds them together to create a fantastic story line of motherly love and chance knitted together with God's grace. Each woman had somewhat hard choices to make in their lives and we were able to watch it all as it played out. The author was able to keep the flow of the story going and I enjoyed reading about these women doing what they feel they needed to do. Just like we as women tend to do----we do what it takes to get the job done. This was a good read. The young unwed mother, ends up being a midwife, in the same place, she delivered her own baby. The home is in need of repair, and money. A man, who helps repair the home, is someone from the midwives past. Another young woman, associated with the midwives past, enters the home for unwed woman. Some closure was made for these three people. As in her first novel, The Outcast, the author is able to draw in the heart of the reader while delving into the story. Sometimes when I look at the stack of books I am blessed with reading, the choice of my next book can be really hard when faced with many wonderful books or unknown authors I want to discover. As is my practice, I wait to see which one the Lord would have me read and then share with you. I loved Jolina’s first novel and when I could, I obtained The Midwife earlier this year. What I knew to expect would be a wonderful tale, but what I didn’t know was how I would be impacted by the book. While I have never been a surrogate mother, I have been blessed by having two sons with my husband of over 26 years. Just being a woman would be enough to read this novel, allowing it to touch your heart and hope for the best outcome for the characters. While I cannot tell you how it ends because I don’t want to ruin it for you, what I can say is that it will truly cause your eyes to mist. It will speak to your heart when you read the author’s true life experience when she was writing this novel. Both the novel and author are a testament to how the Lord can mend broken hearts in ways we cannot see and bring joy from pain. The novel is truly inspiring, enjoyable, and one to share with your friends or family. Don’t be surprised if you find yourself talking about the The Midwife and perhaps also read The Outcast, which I also think is exceptional! The novels are stand alone books that can be read in any order, but don’t miss these wonderful stories! I cannot wait to see what comes next from the pen of Jolina! Normally if I look at the cover of a novel and there are Amish or Mennonite head coverings or dresses on the cover I don't even bother reading the back cover let alone the book. You see for three and a half years I lived about 15 minutes north of a large area of Mennonite and Amish in OH, my husband grew up Mennonite and my in-laws both grew up Amish. So I didn't really have any interest in reading novelizations of their lives since from first hand experience I wasn't overly impressed. But this book was absolutely riveting. I couldn't put it down! The story was so well told and didn't focus so much on Amish or Mennonite as much as it did on childbirth, surrogacy, and unwed mothers. I really appreciated the story covering the topic of surrogate mothers and the turmoil they go through since I've never read a book with that focus. My heart broke for Beth when she found out the child she was carrying for Meredith and Thom might have "defects" and even though I would normally not ever condone a surrogate mom not wanting to do whatever the parents wanted I was glad that Beth was more interested in the welfare of the child she was carrying than what the mother thought. Equally my heart broke for the young women in the home for unwed mothers that had been taken advantage of and ended up pregnant with no where to go. I was glad the Mennonite community had a home that was taking these girls in and helping them through such a difficult time in their lives. I loved how Petersheim took all the different story lines throughout the book and weaved them together in a way that I least expected. Her characters, especially Beth, were delightful. And her attention to detail was impeccable. As I mentioned before my husband grew up in a Mennonite Church. His wasn't as strict as the one in this book but he did grow up speaking Pennsylvania Dutch and I saw a lot of words that I recognized from his family in the book. Since I studied Spanish Linguistics in grad school I enjoyed the Pennsylvania Dutch thrown in throughout this book. It really added a level of authenticity to the novel. If you love the Amish / Mennonite fiction books that are ever so popular right now you'll really like this book. I received a free paperback copy of "The Midwife" by Jolina Petersheim in order for me to read and review it for Tyndaleblognetwork. I have read both of Jolina's books and enjoyed them both. It takes some getting used to her style of writing where you switch from the viewpoint of different characters in the book. 'The Midwife" follows Beth Winslow in the mid 1990's and Rhoda in 2014. Beth agrees to be a gestational surrogate for her graduate adviser and his wife. 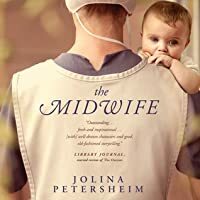 But when there are problems, the I received a free paperback copy of "The Midwife" by Jolina Petersheim in order for me to read and review it for Tyndaleblognetwork. Beth agrees to be a gestational surrogate for her graduate adviser and his wife. But when there are problems, the parents decide that if the baby isn't "normal" they want to end the pregnancy. Beth "kidnaps" the baby still in her womb and flees to the Dry Creek Community of Old Order Mennonites. She hopes she can start a new life and find someone to love that won't abandon her like her mother had done. Rhoda resists help from the outside world fearing that with it her past will come to light and shatter the life she has built for herself as head midwife for Hopen Haus in the Dry Creek Community. When her past finds her, will she be able to come to grips with those who've abandoned her and those she's abandoned? Will she be able to trust God to lead her through so she can find her Hope? The book is set in an Old Order Mennonite Community mostly. Since Hopen Haus is a home for unwed mothers, there has obviously been some past "indiscretion's", although there isn't much elaboration on them. It shows that any person (even "Plain" ones) can fail. I had a hard time putting the book down and found myself skimming over the words to see what was going to happen sooner. But I didn't want to miss anything, so I'd slow down and read it all! The prologue confused me until I was quite a ways into the the book. I think it would be better to not be there personally. One time in the book one of the girls has an infection and someone asks if they gave her penicillin. They reply that she is allergic to penicillin so they gave her amoxicillin instead. Being allergic to penicillin myself, I was told that it didn't matter which one it was if it was in the same family, so they couldn't give her amoxicillin, either. I don't think it took away from the story, it was just an observation I had. 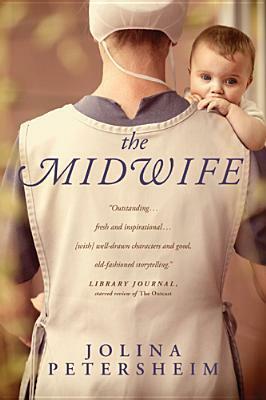 I would recommend" The Midwife" to those who enjoy Inspirational or Mennonite/Amish romances. The romance isn't the main story line, but it is there at the end. I read and enjoyed the author's debut novel The Outcast and I expected to enjoy this book just as much. To say that I enjoyed The Midwife would be a gross understatement. The story just blew me away. If I did not already know that this was only her second novel, I would have never guessed. I had presupposed that this would be an interesting story about a Mennonite midwife. It was . . . but that was only the tip of the iceberg. The story begins with Beth Winslow. She is a grad student working on h I read and enjoyed the author's debut novel The Outcast and I expected to enjoy this book just as much. To say that I enjoyed The Midwife would be a gross understatement. The story just blew me away. If I did not already know that this was only her second novel, I would have never guessed. I had presupposed that this would be an interesting story about a Mennonite midwife. It was . . . but that was only the tip of the iceberg. The story begins with Beth Winslow. She is a grad student working on her thesis entitled "Solomon's Choice: Finding an Ethical Solution for Remorseful Surrogates". Little did Beth know that she would be living out her thesis. Not only does she become a surrogate, but when the biological parents decide to terminate the pregnancy she's faced with the ethical decision of abortion. We next venture into the world of Rhoda Mummau. Many years ago Rhoda converted to the Mennonite lifestyle and eventually became the head midwife at Hopen Hous. Rhoda is a very competent midwife but she has a past that is secret to all but a few and that past has left wounds that go very deep. Before long these two seemingly separate lives begin to intertwine and become one. Old wounds are opened and secrets are exposed. There is absolutely no way Beth or Rhoda can come away unscathed. But the interesting thing is that God has a way of exchanging beauty for ashes and the oil of joy for mourning. I can pretty much guarantee that you will not come away from this novel without lingering thoughts about the situation. You will surely ponder on what you would do in the situations that were presented. Let me leave you with one of my favorite quotes from the book that just continues to resonate with me. ". . . love is not about holding on to someone, but about allowing someone to grow and change and loving them through this never-ending metamorphosis of life that--in the process--sometimes changes us too." This is a unique story that takes place in the past and in the present, in the English world and in the Mennonite community. In 1996, Beth was a graduate student who agreed to become a surrogate. She told herself it was just a business transaction and she wasn't related to the child, after all. When an early test shows possible abnormalities and the parents decide to abort the baby, she can't deny the love she feels for the baby and goes on the run. She turns to Hopen Haus, a place where pregnan This is a unique story that takes place in the past and in the present, in the English world and in the Mennonite community. In 1996, Beth was a graduate student who agreed to become a surrogate. She told herself it was just a business transaction and she wasn't related to the child, after all. When an early test shows possible abnormalities and the parents decide to abort the baby, she can't deny the love she feels for the baby and goes on the run. She turns to Hopen Haus, a place where pregnant girls can go when they have no place else located in a remote Mennonite community in Tennessee. Rhoda Mummau is the head midwife at Hopen Haus in 2014, where she guards her heart and emotions from becoming too attached to any of the girls or babies who pass through their doors. However, there is something different about Amelia, who arrives pregnant and wealthy, which is usually not the case for the girls who end up there. She found out about Hopen Haus through an article Rhoda did not want published as she didn't want her secrets revealed. When this article sends someone from her past, she will have to confront her deepest fears and her deepest hurts. This was a well-written story with a literary quality to it. I really liked the interweaving of the past and present and the different viewpoints of Beth, Rhoda, and Amelia. I felt for the tough things these women had gone through, but sometimes it felt a bit too rehashed. I also felt the story lagged some in the middle, but I really wanted to find out how it would end and that did not disappoint! I loved how it all wrapped up and how the truth came to light. I especially loved the message that God can work all things for good. We may not see how it's going to work out now, but one day we will! I found the surrogacy aspect interesting and felt the story was very unique. I would recommend this story if you like stories about the Amish or Mennonite or just a unique story that will make you think. An emotional work that is sure to draw in parents and non-parents alike with an extraordinary story full of troubled characters. Rhoda Mammau was accepted in the Mennonite community shortly after her arrival. After an unfortunate back incident for the head midwife, Rhoda is moved into the head midwife position at Hopen Haus in Tennessee.. She uses her seclusion to hide from past mistakes that she carries with her. Beth Winslow has agreed to become a surrogate for a couple in exchange for tuition An emotional work that is sure to draw in parents and non-parents alike with an extraordinary story full of troubled characters. Beth Winslow has agreed to become a surrogate for a couple in exchange for tuition money for graduate school in Boston. However, after an amniocentesis detects potential abnormalities with the child, the biological parents decide it would be best to terminate the pregnancy. Beth realizes that she has become attached to the unborn daughter and cannot bear harm to come to her, so she escapes to the safety of Hopen Haus. One day, a new teenager named Amelia arrives at Hopen House, pregnant and trying to find herself. She sparks a series of events that bring the past to the present, forever changing Rhoda and her view of the creator’s love. I had a difficult time reading this book. Not because of the story, structure, or flow as I read it in less than 24 hours, but due to the content. This story made me really look at how difficult it would be to not only willingly give up my own child to someone that I didn’t know through adoptions, but also to unwillingly give up a child to a couple that I knew would not be able to provide love for the child as well as I could. This story really took me on an emotional roller coaster with everything that happens. The story is told by three different viewpoints, but the story still flows smoothly. Several parts of the story were predictable, but the ending still had a well placed surprise. Jolina Petersheim brought characters to life that drew upon her own emotional experiences, that I believe, made the characters that much more real. The Midwife is an absolute outstanding read. Jolina didn't just write Beth breathed life into Beth. Beth is a young girl trying to do something good to help someone else by becoming a surrogate at a time when it was relatively new. Things get over her head when the doctors believe the baby has abnormalities and the parents want to terminate the pregnancy. A mother's hedge of protection surround this tiny soul within her womb and Beth runs to protect her. As I read Beth, I felt for her I cheered for her. I couldn't believe the people around her and what she was seeing. She wanted to give this little baby a chance. Over time, Rhoda a Midwife in a Mennonite community becomes cold and a little distant from those around her. Her past she keeps hidden until her past shows up on her doorstep. I honestly wasn't sure how all these stories were going to come together and one piece had me completely thrown off (I won't give more of a clue than that), but as the novel closes I was dumbfounded by the last piece of the puzzle. The Midwife is one I had a hard time putting down. The story is told with alternating voices of past Beth, current Rhoda and Amelia. I love when I can't put everything together just right and The Midwife offers that. My heart broke for Beth and Rhoda...I wanted them to find peace and happiness. Sometimes there is no greater punishment, than the punishment we inflict upon ourselves and this was evident in The Midwife. 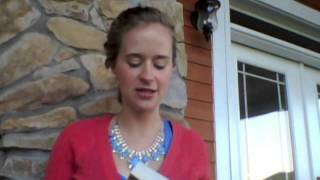 Do not label this book as Christian, or Amish/Mennonite fiction--labels are limiting. A stunning story of healing, of walking through our past, and coming out in-the-end a better person because of it and understanding who we are. A book I will highly be recommending to all my friends. Jolina Petersheim is fast becoming a favorite author of mine. Jolina Petersheim's stories are one of the reasons I won't throw out bonnet fiction altogether, and The Midwife, her second novel, is a well-crafted story full of surprises. Bonnet fiction or not, this is just great storytelling. The Midwife is a complex tale of parental love told from the points of view of Beth Winslow, a graduate student in the mid-1990s; Rhoda Mummau, head midwife in a home for unwed mothers in a present-day Tennessee Mennonite community; and Amelia, a young girl who seeks hel Jolina Petersheim's stories are one of the reasons I won't throw out bonnet fiction altogether, and The Midwife, her second novel, is a well-crafted story full of surprises. Bonnet fiction or not, this is just great storytelling. The Midwife is a complex tale of parental love told from the points of view of Beth Winslow, a graduate student in the mid-1990s; Rhoda Mummau, head midwife in a home for unwed mothers in a present-day Tennessee Mennonite community; and Amelia, a young girl who seeks help at the home. Each is written in first-person point of view, with a note at the beginning indicating who is speaking and when. Still, there were times I forgot and was a little confused, but I'm impressed with the author's ability to create such deep connections with each point of view. Though I anticipated some of the twists, there was one I absolutely didn't see coming, and the story drew me along from start to finish. I'm choosy when it comes to fiction that features Amish/Mennonite characters because they are not often unique, but Petersheim's stories will always be on my list of "to-read" books because she tackles topics not normally addressed in that genre. Her characters are flawed and relatable, and her stories show that like all of us, those who live in sheltered communities are still susceptible to trials and struggles and temptations. This book evidently has a lot of fans who find it a 'page-turner' and an 'emotional roller coaster.' I wanted to like it, but ended up quitting before I'd finished reading it. Far from stirring emotions, I found the the characters unrealistically analytical. Firstly, the author makes the mistake of having the characters tell their feelings and their psychological responses to events, rather than showing us how the characters feel and letting the reader interpret how the characters are affected an This book evidently has a lot of fans who find it a 'page-turner' and an 'emotional roller coaster.' I wanted to like it, but ended up quitting before I'd finished reading it. Secondly, it's a very rare - and mature - individual who can identify and verbalize the effects of traumatic events as they occur. A middle-aged woman looking back on her youth may be able to see the patterns, but a young woman seeking love to replace the parent who abandoned her, or a teen going from boyfriend to boyfriend looking for affirmation does not see what she is doing. They are in the middle of emotional turmoil without any clue why they are behaving as they do. That knowledge may - may - come later, but at no point did I feel that Beth had gone through the process of self-learning, only that the writer was dumping the info on me. In life, some of the choices we make are the right choices, but are the hardest to let go. When Beth a young college student gives up her own child for adoption it is something she has never been able to get over. When her college professor comes to her and ask if she would be willing to be a surrogate him and his wife Beth was willing but was not prepared for the feelings and emotions that she was about to develop. The Midwife by Jolina Petershein is a striking narrative of a young girl who struggles to find her peace and to let go of the fear that has been consuming her life. We have all faced a time of loss and know to be true, as Beth learned, that true peace comes when we stop running and stop living in fear. Though we can struggle with understanding God’s plan, what we see in Beth’s journey is that our struggles and our fears can be relieved when we turn to Him completely and trust in His word. As a first-time reader of Ms. Petershein, I am taken in by her unique writing style and the richness in which she captures and conveys the essence of her characters’ lives. I would recommend this book for adult readers and am looking forward to reading her following works. What an astounding book! A profound story about life and loss and ultimately hope. A wonderful witness to the glory of God's master plan and his divine ability to heal the deepest wounds. Petersheim has a unique writing style. Rich descriptive passages paint vivid images that add depth and vibrancy to a compelling plot. Unusual too, because the story is written in first person point of view. Pay attention to the headings and dates because The Midwife is told from different characters' viewpoints What an astounding book! A profound story about life and loss and ultimately hope. A wonderful witness to the glory of God's master plan and his divine ability to heal the deepest wounds. Petersheim has a unique writing style. Rich descriptive passages paint vivid images that add depth and vibrancy to a compelling plot. Unusual too, because the story is written in first person point of view. Pay attention to the headings and dates because The Midwife is told from different characters' viewpoints, both past and present. That took a bit of getting use to in the beginning, especially since some scenes were written in past tense and others in present tense, but once I got the hang of it, the words flowed until they built to an astonishing crescendo. Honestly, there is more than one gobsmacking surprise buried in this emotional tale. There's also unspeakable sorrow as well. Experience has taught Rhoda to guard her heart and she has turned herself into an outcast in many ways. The broken pieces of her past mesh with the shattered ones in her present and turn into something so hopeful and good it defies description. An incredible read.